Below are details of some of our monthly meetings and activities to give you an idea of what we have done in the past at the Oxford & District Soroptimist Club. Milton Keynes SI is supporting MK Red Cross by knitting blankets for refugees as many are locating there. Some members of our club decided to take up the challenge and contributed by knitting squares. Together with some of club member Ros’ village friends we have made and delivered this blanket. Two baby blankets made by a friend were also delivered. We plan to make more and already members and friends are knitting away. Thanks to all who have helped in any way. There was something special about sitting, sewing and chatting when assembling the blanket. Madagascar – What hope for the Big Red Island? We had a wonderful talk from Chris Sewell about the charity work of Money for Madagascar, some of the country’s history and what life there can be like. Chris also bought lots of beautiful Madagascan items and crafts (mostly hand made locally) for us to buy. Proceeds went to Money For Madagascar which support projects aimed at tackling many of the key issues facing Madagascar today including: extreme poverty, loss of bio-diversity, poor health, lack of food security and limited access to education. At October’s club meeting we celebrated some of the Programme Action work that we have been involved in. It was also Breast Cancer Awareness month so to mark this some of our members wore something pink. Around 60 Soroptimists from clubs around the region attended this conference in Milton Keynes. Excellent speakers included Jackie Chappell, entrepreneur founder of The Ironing Lady, Ruth Dearney CEO of Stop The Traffic spoke movingly and with inspiration about the work of her charity reminding all of us that trafficking is the fastest growing crime in the world today and Alison Bird introduced us to the Buddy Bag Foundation. Super entertainment was provided by the Sakura Japanese Ladies choir and members of the MK Ladies Football Team ensured we were all wide awake for the afternoon session – great fun! This was a wonderful day for everyone present. Dr Deirdre Cilliers gave a most interesting and informative talk which all of those present could have listened to all night! Did you know that humans share 90% of their genes with mice, 30% with yeast, 40% with worms and 70% with zebra fish but as expected 99% with chimps. Apparently we have a fully functioning gene for wings – it’s just switched off! Not only did Deirdre explain comparative genetics but also chromosomal disorders (where micro arrays which are twice as effective as previous methods are used), new technology called ‘next generation sequencing’ (which can sequence the whole genome) and pre-implantation genetic diagnosis. Deirdre and her department are based in Oxford but they hold clinics in neighbouring counties as well. Sheila Elsey gave an inspiring talk about the work of the Philippine Community Fund at this month’s club meeting. The PCF improves the lives of the poorest Filipino communities through health, education and family enhancement programs. Sheila shared with us photographs of some of the people who are benefiting from their work. In the last 13 years the organisation has built a school from 78 freight containers providing education for 800 children – an amazing achievement. The adults and children who are supported live in the most impoverished and squalid conditions including in shanty towns by city rubbish dumps where residents search for recyclable rubbish. PCF provides adults skills training and livelihood projects which offer families an alternative to waste picking. The photograph shows some of the items made by local women and some men that are sold to provide them with an income. Five members of the Club attended the London Chilterns Regional Human Rights Day Celebration and Region Meeting held at the beautiful venue Mayflower Place in Hertingfordbury. Jan Dalrymple, CEO of Safer Places, lead the day and spoke about the range of much needed services the charity provides for adults and children affected by domestic and sexual abuse. This was a most inspiring and informative day. Human Rights Day, December 10th, also marked the launch of the Soroptimist International President’s Appeal ‘Educate to Lead: Nepal’ which ‘seeks to empower and enable women and girls to overcome adversity and develop leadership skills that will benefit entire communities. SIGBI President Jenny Vince ( an Oxford club member) giving her address at the General Meeting. Glasgow was the venue for this year’s conference at which around 1200 delegates attended including 10 from our own club.This year’s conference was truly outstanding with an array of excellent key note speakers. On Friday, Dame Stella Rimmington who needs no introduction, Radio 4’s Sarah Montague and Green and Black chocolate founder Jo Fairley all spoke about what ‘Delivering the Difference’, the theme of Conference, meant to them. Club members Barbara, Carolyn and Moira having fun at the Glasgow Science Centre, the venue for Friday evening’s Conference Reception. On Saturday, Justice Rowan Downing QC, who recently spent nearly 9 years as a judge on the Extraordinary Chambers of the Courts of Cambodia dealing with war crimes hearings arising from the Khmer Rouge period, gave another excellent presentation. As you can imagine we heard harrowing accounts of some of the horrific atrocities carried out during that time but he stressed that the voices of the victims must be heard. It is our humanitarian duty to the people who are left. Club members Carolyn, Ann, Helena, Barbara, June and Ros enjoying a meal out on the final evening at Conference. Andrew Bevan from the International Justice Mission spoke about how the organisation as a global justice movement is trying to draw the world’s attention to everyday violence and endeavouring to influence leaders to become champions for protecting the poor. We were also able to enjoy excellent entertainment and have fun at Glasgow Science Centre where the Conference evening Reception was held. Next year we shall look forward to Malta and the 82nd SIGBI Conference and perhaps some fine and sunny weather! The Nepalese restaurant, Yeti, in East Oxford was the venue for a fun evening. Around 50 Soroptimists and friends enjoyed an excellent meal and in so doing raised around £500 for our ActionAid project in Sudap village in Eastern Nepal. We are helping to build a child care centre so that children can be looked after in a safe environment whilst parents are able to earn an income outside the home. Seventy Soroptimists, friends, colleagues and family members were treated to a most entertaining evening by one of television’s most talented comedy writers, producer and script editor, Paul Mayhew-Archer. He is best known for co-writing the hit television series ‘The Vicar of Dibley’ with Richard Curtis and other works include ‘Mrs Brown’s Boys’ and the adaptation for television of ‘Esio Trot’. He entertained the audience with many recollections of his life as a writer and although now living with Parkinson’s disease it is not as he says ‘the end of the world’. At June’s meeting we were joined by Peter Barker, a volunteer on the Otmoor Reserve, who gave a wonderful informative and illustrative talk on the wild life and flora on Otmoor throughout the seasons. The RSPB owns the Reserve of about 1000 acres and we heard about the great variety of birds that is present throughout the year from starlings roosting in the reed beds in winter to turtle doves in summer and despite the high losses of lapwings to predators, they are still one of the success stories on Otmoor. As well as the variety of birds, Peter also highlighted the many other species such as; rare butterflies, deer, dragon flies leverets that find the ideal habitat in Otmoor. We were all definitely inspired to go and visit. The Otmoor Birding blog has lots more information and photos of the birds at Otmoor. All change at Oxford & District! Sarah, Ros and Moira. Presidents 2014-2016! April’s meeting saw our annual AGM, celebrating all of the hard work by Sarah as our President for 2014/15. Thank you Sarah! We now welcome Ros and Moira as our new joint Presidents for the year! We also had a buffet, but you don’t want to see pictures of us eating! So here is the lovely Sarah, Moira and Ros marking the handing over of the Presidential chain. At March’s meeting we took the time to hear some of our own member’s stories. Moira told us about her time living in Uganda battling with geckos, limited electricity and living very far from the nearest town as a newlywed and for 15 years thereon! Carolyn shared her experience of being a Pets as Therapy (PAT) dog owner, providing joy and companionship to elderly residents with her lovely dog Millie who was also put to the test with a scent trail challenge on the night! Margaret shared her story of her time in picturesque Switzerland with her husband as part of the church community for students all over the world. To close the night we marked the UN’s World Water Day (22nd March) with a quick fire quiz to help raise our awareness of water scarcity, sanitation and supply issues globally. ‘As a first timer I reflect on how exhilarating and informative being a delegate has been. Attending Soroptimist International events reinforced both what an amazing and effective organisation I belong to and also how important our project work and consequently the data collected is in helping to maintain our ECOSOC status. I am proud to say I am a Soroptimist. From the many events I attended it was apparent that the Nordic countries really are in the forefront of gender equality. As the Minister for Gender Equality for Sweden stated ‘feminist thinking goes into the budget so the Minister of Finance has to be onboard’. Perhaps this is telling us something! Our very own Jenny Vince giving her inaugural address having been installed as Federation President. Congratulations Jenny! Harrogate welcomed around 1,300 delegates of which 8 attended from SI Pxford, from most countries of our Federation to the 80th Conference. It is the place where the first Federation Council Meeting was held in 1934! We were informed and entertained by three excellent key note speakers. Sahar Hashemi (OBE), co-founder of the UK’s first coffee bar chain certainly lived up to her reputation as one of ‘UK’s most inspirational female entrepreneurs and a powerful speaker on innovation and entrepreneurial mindset’. Professor Susan Vinnicombe (CBE), whose Research Centre is unique in Europe, spoke of gender diversity on corporate boards, women’s leadership styles and the issues involved in women developing managerial careers. A most informative and interesting talk. Dame Jenni Murray (OBE) entertained us through recalling many of her experiences whilst interviewing on Radio 4’s Woman’s Hour. Evening entertainment by the Harrogate Band and the award winning White Rosettes culminated in an excellent conference. We can now look forward to Glasgow which will be the venue of the 81st Federation Conference in November of next year and where our very own Jenny Vince will be in the Chair as Federation President. We were joined in October by Ann and her very soft friend, Mya who both volunteer as a fantastic team for the charity Pets As Therapy. Set up over 30 years ago, the charity has over 22,000 registered pets (dogs, cats and a few rabbits!) who provide theraputic visits to communities (schools, residential car homes, hospitals) to help support individuals and groups through contact with animals. Since becoming a volunteer a year ago, Ann has managed to reach out to over 5 Oxfordshire schools helping to tackle illiteracy problems. How you might ask? Through their Dog2Read scheme! Mya has become a celebrity within schools, she’s even had good behaviour and performance awards named in her honour! By providing an alternative outlet and setting for reading, children who struggled with literacy were able to move up to 2 reading levels over the period of 2 weeks! Mya and Ann have also helped dog-phobic individuals tackle their fears, encouraged a resident to talk again following regular visits and provided good dog ownership guidance to children. Ann has also supported one volunteer with her dog who suffers with a disability causing shortened femur bones, to help facilitate conversations with children about disabilities, becoming a school celebrity in her own right! A big thank you to Ann and Mya who came to speak to us, and for Carolyn who brought her own PAT volunteer, Millie with her to join us for the evening. We had a talk from Stephanie Wilde about the benefits of mindfulness to help relieve anxiety, depression, everyday stresses as well as taking more time to appreciate things we may take for granted. For many of us it was our first venture into mindfulness, and not knowing what to expect we decided to take the plunge and were guided through a few exercises by Stephanie, our lovely Traute’s daughter who has found mindfulness a great source of support and calm. We started with a simple breathing exercise and moved on to lesson one – the raisin. Some of us can’t stand raisins, while others can’t get enough of them, so exploring all of the textures, smells and taste of our raisins brought a completely new experience to us all! It’s safe to say that we left September’s meeting feeling quite calm and prepared for our next day, with a new appreciation of this great form of meditation; some of us looking to explore Mindfulness more fully in future. Thank you Stephanie! At July’s meeting, we heard from two of our good friend’s from SI Thames Valley Soroptimist Group, Rosie and Johanna. One of the smallest groups in the region but by no means small in their ambitions. The London Chilterns Soroptimist Groups have been avidly knitting hats over the past few months for the Kori Project; helping keep communities warm during the cold nights in Sierra Leone, where owning clothes is a luxury not often experienced by many in the Kori Region. Rosie and Johanna came to tell us how the Kori Project is progressing, tackling Female Genital Mutilation (FGM) and now constructing the first library to be built in Sierra Leone since the Civil War! From raising money, making hand-made sanitary towels, to sending shipments of books, seeds, shovels and soft furnishings, they have been able to support a community to educate and empower women and young girls. Rosie has also helped educate women around safe birthing practices, helping to address the very high mortality rate for expectant mothers. Their big focus for the Kori Project is to stop the practice of Female Genital Mutilation (FGM) which has been practised in Sierra Leone for many generations. Rosie, an incredible Soroptimist who was born in the region, has unparalleled understanding of the superstitions and taboos associated with FGM, and has helped educate and empower both potential victims and women performing the procedures to find alternative, sustainable and secure income through farming. By giving women the tools they need, the farming communities have thrived across other villages in one of the most fertile areas in the region. Men and young boys have been engaged around the topic, and now the practice is nearly eliminated within these farming communities supported by Rosie, Johanna and the club. At June’s meeting, members brought a variety of food and non-food essentials to be donated to The Abingdon Emergency Food Bank. By supporting communities, families, couples and individuals, the Abingdon Emergency Food Bank has helped over 700 people and received over 9500 donations over the past year. They have provided a friendly face and a warm, safe environment for those in need. Sometimes those who find asking for help difficult or daunting, often from situations out of their control. Suzanne is the Vice President (Women) for the Oxford University Student Union. She gave a most interesting and challenging talk on projects aiming to change the attitudes and behaviours of students around sexual consent in order to create a culture of healthy sexual communication and eliminate violence against women and girls. Suzanne appealed for funding and circulated leaflets and her funding proposal to all present. Suzanne’s talk gave rise to many questions and enthusiasm to help her projects. Pam suggested we forward any further questions to Suzanne and discuss how to move a possible project forward at at future meeting. Barbara talked about her family’s years of fostering a number of children and astonished and amused us with her many anecdotes. It is clear that several children benefited greatly from the care they received. We also got to know much more about Barbara’s non SI life which was especially fascinating. Jenny talked about the future of SIGBI and began by asking us to note down why we joined and what we expect of the organisation in the future. Membership is ageing and declining so it is essential to take action. Jenny will feed back our comments together with those from other groups to whom the presentation will be given. ‘Associate membership’ and’ light touch clubs’ are being trialled to see if possible members might be attracted in the first instance by a less structured approach. We discussed why SI seems to have a low profile when we have UN representation. Andrea gave an illustrated and enlightening talk on Guiding as it is today. 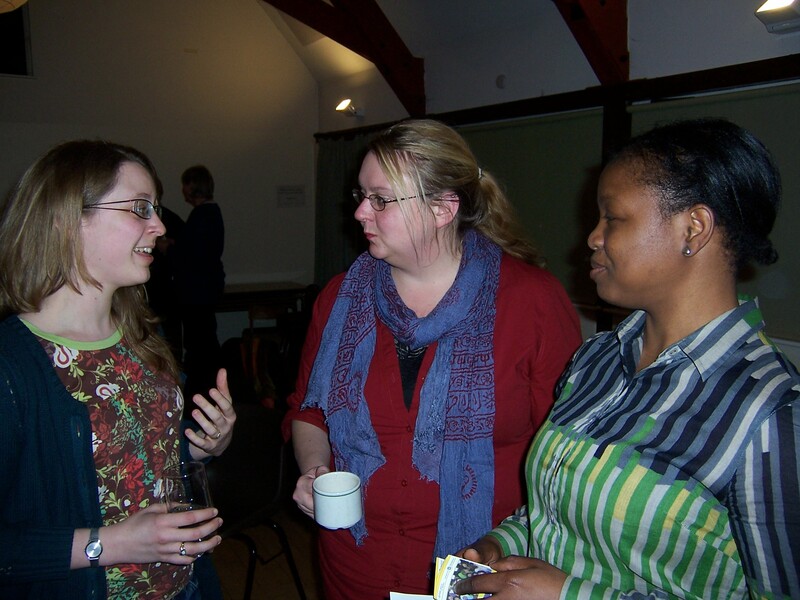 She first demonstrated the close links between the aims of Guiding and those of Soroptimism, demonstrating the logic of the increasingly close connection between the two organisations. The new Guiding motto is “We discover, we grow” and no longer, “Girls in the lead”. She went on to explain that Guiding is the largest voluntary organisation in the UK with 80,000 adult volunteers and 500,000 girls involved. One in four eight year olds in the UK is a Brownie. To put this in perspective, the membership would fill Wembley Stadium more than six times and it would need 9,000 double-decker buses to transport members there. Guiding provides an important Girls only space which all girls can join regardless of class, race, religion or handicap. The Organisation is seeking to shed its white, middle class image and many aspects, including the format of the Promise, are being reviewed to take account of the variety of members involved now. Girls in 144 countries take part. The age ranges covered are: Rainbows 5-7 (4-7 in Northern Ireland where they were first piloted), Brownies 7 – 10; Guides 10 – 14 and Senior Section 14 – 25. Guiding is no longer a “Uniformed Organisation”. Members at all levels choose from a variety of approved clothing and are involved in choosing their group activities. There is a strong emphasis on fun as well as encouraging girls to learn skills and to develop a high level of self-esteem. All levels of Guiding still take badges but these are often very different from those that members of SIOD would have experienced when young. Research has shown that two thirds of award winning women had been involved in Guiding which reflects the success of the Organisation. Joanne Swift spoke briefly of her personal background, her job as a lawyer in the local government sector and being a Soroptimist since 2001. She has taken on several officer roles, often doubling them, and has recently taken over from Yinka Soetan as Regional President. Her informal theme for the year is ‘Awareness, Advocacy and Action’, in particular raising awareness of the inappropriate incarceration of women, and the movement ‘Taxis against Trafficking’. The larger part of her talk concentrated on the future of Soroptimism and the challenges facing the organisation, with membership numbers falling by 3% each year. She remains convinced that the most effective way of increasing membership is through personal contact. Two pilot projects are being considered to ease the membership problem: Associate Membership and a virtual club or ‘Light Touch Club’ to be discussed at the next Regional Meeting. Her own club in Aylesbury has only 15 members, but they nevertheless feel they do make a difference. Dr Benson trained in London Hospital around the same area and time as the recently televised period drama, ‘Call the Midwife’. He also studied philosophy at the Open University, most useful in his subsequent involvement in medical ethics. He gave a brief overview of the common framework used in the analysis of medical ethics, the four-principle approach postulated by Tom Beauchamp and James Childress: Beneficience (acting in the best interests of the patient), Non-malficience (doing no harm), Autonomy (respect for the patient’s right to choose or refuse treatment), Justice (the fair distribution of scarce health resources). Inevitably, conflicts arise between these and other general principles, religious and cultural concerns. These values can only offer board guidance for understanding conflicts, not answers on how to handle particular situations. Lisa talked about her work as a Colour Analyst and Personal Style Consultant with the country’s leading Image Consultants, House of Colour. It all started 28 years ago when she saw how a friend, almost overnight, dramatically enhanced her appearance. Until then, Lisa, like so many of us, had a wardrobe full of clothes and nothing to wear. Essentially, all of us are born naturally suited to a range of colours within one of the 4 seasons; the range of colours may change every decade or so, but never the season – once a winter, always a winter. Clients go through a colour analysis, which can be followed by a shape and style analysis as well. All of which results in a new image,which will make the right impression, and more importantly create a new inner self-confidence. Inevitably clients will also save time and money, and as an added bonus, will be able to pack everything needed for a fortnight’s holiday in one small suitcase. Pam joined SI in 1974, and 11 years later began her Soroptimist ‘career’ almost by chance (as so often happens) when she offered hospitality to a visiting American Soroptimist lawyer from Sacramento. By the time she had attended the International Conference in Melbourne in 1987, she was hooked. Pam spoke about 3 journeys in particular, to Cameroon, India and the Caribbean Islands. The charter ceremony in Cameroon was very moving, as is the start of any new club. Her Soroptimist journey seemed to involve a lot of visits to prisons, and at Limbe, she was presented with an intricate model of a cockerel, made by the inmates from different types of woods available in Cameroon. In 1998 she went to India for charter ceremonies in Agra and Madras, but also visited Bombay, Poona, Calcutta and Burdwan. The Madras Club has gone from strength to strength and she still cherishes the hand-painted Ganesh presented to so many years ago. She briefly mentioned her visit to the Caribbean where Soroptimists are highly thought of. Pam brought along a selection of gifts from her travels, including an impressive collection of badges both from her visits and conferences. After 27 years in the Philippines, where she registered as a nurse, TM went to Ireland. Her work in care of the elderly began here. She has also worked in care of the disabled at a Leonard Cheshire Home in South Oxfordshire. Care of the elderly differs from that of the disabled principally in the dramatic reduction of funding coupled with equally high care expectations. She started at the Albany Care Home on 20 December 2011. The home had been under an embargo for 18 months and her role was to turn it around. The first of the radical changes she introduced was to celebrate Christmas for staff and residents alike. She proceeded to update necessary equipment, set up a Residents’ Committee and to encourage staff to think of the residents as their employers. Residents were involved in the recruitment of new staff. And staff training included ‘stepping into the shoes’ of residents. She spoke of the sad realities of growing old and her focus is to improve the residents’ quality of life. Susan Norwood spoke with vision and passion about her groundbreaking arts-based,accredited, educational resource, Project Volume, which was founded in concept in 2007 and became a charity in 2009. Dance has a remarkable ability to unlock learning potential, and the project is committed to raising the potential, profile, voice and visibility of those with learning disabilities. Susan studied at Dartington College of Art, specialising in Choreography, and subsequently spent 12 years exploring the use of visual art, film and theatre in the teaching of dancers with disabilities. She has worked with the most respected dance companies, choreographers and artists; and more recently, with researchers at Oxford University. She recently secured funding to put on a performance, exploring an exchange between a visual artist (Thomas Houseago) and dancers, at the Museum of Modern Art in Oxford. She is currently working with a special needs school in Blackbird Leys. In 2005 Erica and Pam took on Felicity Hat Hire in Leamington Spa as a franchise, but two years ago set up Hats & Co., and modernised and developed the range of their products to include fascinators and other accessories. They aim for originality and exclusivity, and buy from established and award winning designers such as Vivien Sheriff and Richard Design. They gave a brief history of hats which started out as protection against the elements, with the earliest representations from ancient Thebes, Greece and Rome. In was in the 17th century that women’s headgear developed in its own right; Milan and regions in north Italy led the market at the time, hence the term ‘milliner’. Interest in hats began to decline in the 1950s and in the 1960s there was much more emphasis on hairstyling. But there was a revival of interest from the 1980s, not least due to the influence of the Princess of Wales. Erica and Pam clearly adore hats. 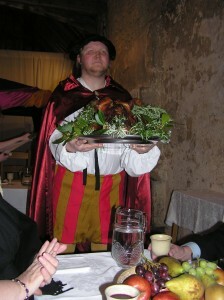 The presentation proved to be thoroughly entertaining, occasionally hilarious, and much appreciated by all. She was remarkably well informed in addressing issues of violence against women and children, both here and abroad. Domestically, there are around 14,500 cases of abuse against women and children a year to address which the Government is developing an action plan. Dealing with conflict zones, where it is used as a weapon of war, it is easier to initiate action against assault on women than it is to initiate their involvement. Only 8% of peace negotiators are women; women make up 70% of the world’s poor and 80% of the world’s illiterate. successes where women had been involved. Steve Molton from Brightwell Bees, whose hobby became his occupation, gave a fascinating talk about the Honey Bee. These bees don’t hibernate but manage to maintain a temperature of 35 degrees within the hive all winter where they huddle together for warmth and change positions, so that those on the outside can get warm too. Even in February they go out to pollinate. Their system of honey production is highly scientific from the construction of the cells in the comb where every angle is precisely measured, to the production of specific temperatures for precise activities. If they attack, it is never random and their means of communication gives precise instructions for the location of pollen. Approximately one third of all fruit and vegetables in the UK are pollinated by bees and they have a commercial value of about £2m for hire as pollinators. There is no evidence that UK hives are affected by Colony Collapse Disorder and, even though there are problems with Varroa mites, UK hive losses have returned to normal. At the end of his talk, members had the opportunity to purchase honey and beeswax products. An outline of the origin of the project was given for new members and then an update of the amount of funding raised (c£20k) and issues to be faced. – Would it be cheaper to rent than to build? – Would slum clearance affect the usefulness of the building? – Would it be better to help children now rather than several years down the line? They are also looking at new ways of raising funds; considering offers of free land; working alongside UNICEF for the training of teachers. 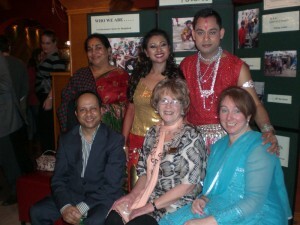 An invitation was issued to SIOD members to visit Bangladesh in Nov. 2012 with theBournemouth club. The visit would include a trip to Chittagong. What makes a great place to live and work? It would be impossible to summarise the exhilarating journey on which the speaker took members as she performed her whistle stop tour through about 74 slides from all over the world. A Soroptimist herself, she has had a dynamic career in local government, economic development and city planning. She now works internationally as a consultant encouraging managers and developers to think more widely and creatively about city development. – What makes a great town or city in one place wouldn’t necessarily be successful in another. Each place needs to feature its own strengths. – It’s essential to think creatively. Not just in terms of the Arts but also in terms of education, social development and political creativity. – A creative society finds imaginative solutions to problems and empowers. It crosses boundaries and thinks of the bigger picture. – People need to be ready for change and to predict the future. They need to think differently (360 degree thinking) and to change their mindset. – Cities that are culturally diverse are more successful. Held in the beautiful Long Gallery of Abingdon Abbey. Our members organised a delicious three course buffet and raffle for our Soroptimists, members of Steppin Stones and friends. All profits went to Steppin Stones. Much festive fun had by all! 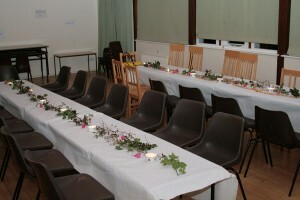 Food, mulled wine, games and singing…. Thanks to Chris for the beautiful real holly and ivy decorations. Held in the beautiful Unicorn Theatre of Abingdon. A total of £2000 was raised and shared equally between the Fabric Fund of St. Nicolas Church Abingdon and our Presidents Project “Cementing Futures”. Speaker Anna Scarna – a Research Psychologist at Oxford University Warneford Hospital and Senior Lecturer in psychology at Oxford Brookes. After explaining the nature of bipolar disorder, Anna Scarna described the side effects of an experimental mixture of amino acids on those who took it. Her research involved trying to block the excessive amounts of dopamine in manic patients by nutritional means, without replicating any side effects associated with conventional medication. The outcome has been the production of a yoghurt-type drink which has proved successful throughout rigorous trials. Although not as potent as dopamine-blocking medication, this product allows the patient to have control as they can take the compound when they recognise the need. Yolanda started by talking a little about Malaysia, especially about how diverse the population is. She is Chinese Malaysian, so her food is influenced by this. She started by cooking a chicken curry, followed by a vegetarian noodle dish. It was great fun with her portable, electric woks and we learnt how to count to 10 in Malay. There were lots of useful tips about how to make the perfect stir fry. Everything smelt delicious and fortunately we got to eat it all. While we ate and drank jasmine tea, we browsed her stall of Malaysian crafts. Yolanda does cookery demonstrations for adult learning, but also does catering. Renata told us her spell binding story of growing up as a Polish Jew during WWII. She was only a toddler when war broke out and gave a heart breaking account of what happened through the eyes of a child who didn’t really understand what was happening. She remembers a very happy childhood with a warm supportive family and eating strawberries greedily (there was a reoccurring obsession with food). The first tragedy struck when, one day, her father (a doctor) did not come home. Shortly afterwards Renata with her mother and grandmother were moved to a ghetto. Her mother and grandmother worked shifts to make sure she was never left alone. Renata remembers being selfish and crying about the lack of food and facilities. One day she had been particularly bad tempered after her grandmother had washed her in cold water (which had also been used to clean potatoes) and was crying when her mother came home from the factory. Her mother told Renata that she had a treat for her and offered her a bit of sausage she had saved. An argument broke out with Renata’s grandmother, as she felt Renata had been fed and her daughter also needed to keep her strength up. Renata’s grandmother then went to work the night shift. Renata’s mother winked at her and gave her the sausage, which Renata scoffed in one bite. Renata’s grandmother did not come home that morning. Renata’s mother did not come home that evening. Various other adventures unfolded. Renata was smuggled out of the ghetto by hiding in the skirts of her former (Catholic) nanny and spent the rest of the war passing from place to place, hiding from the Germans. There were many people who were selfless and brave to hide her, but equally those who preyed on the desperation of her remaining family. Eventually, when the war was over, she was sent as a refugee to England. As she stepped off the boat to be exmained by the doctors, she was picked up and grabbed into an embrace. We got a proper Hollywood ending to her story – her father was the doctor sent to check the new refugees. Renata told her story without self pity or drama. All agreed Renata should try to publish her story or record it for future generations. Mr Aziz kindly let us use his restaurant for a fund raising event for Cementing Futures. 90 people attended and enjoyed fantastic food, traditional dancing and a raffle. Over £1000 was raised for Cementing Futures. Instead of having an outside speaker this month, Cecily Lau, Helena Ayyub and Kieke Bededictus gave brief accounts of their respective and very different careers. All were extremely interesting to listen to and exemplified the high level at which they operate; the very busy lives that most Soroptimists lead and the major contribution that they make to society. At the end, President Margaret gave a brief account of some new research into ME in which she is involved. Penny Faust was introduced as a Jewish mother of four, a grandmother, a child psychologist, a broadcaster on BBC and Radio Oxford, speaker on ‘Thought for the Day’ and involved in interfaith dialogue – amongst other things. She began by saying that people who had children in the 60s have opened up a lot of things and have changed the nature of ‘grandparenting’. The flavour of the relationship has changed because our grandparents were ‘old’ and had different expectations of their retirement years. She pointed out that it isn’t essential to have one’s own grandchildren to be a ‘grandparent’. Any adult can establish an important cross-generational relationship, perhaps from babysitting or through Home Start, which builds up over the years and provides ‘a constant’ in the child’s life. The joy of being a grandparent is that one can say when one has had enough, unless one is in the unfortunate position of having full time care of the child/children. Four out of five teenagers in a survey said that grandparents were the most important people in their lives outside their families. Teenagers talk a different language but Penny Foust stressed that it didn’t hurt any of us to learn another language to keep the lines of communication open. She pointed out that the role of grandparents is not an easy one and can lead to many conflicts or resentments: sons/daughters can feel rejected when more interest is shown in their offspring; they can feel jealous of the relationship between grandparent and child and they can resent the way grandparents deal with their child if it differs from their own ways of doing things. Families have to learn not to be frightened of grandparents or resentful, and grandparents not to compromise their own integrity over differences in values and attitudes. In her view, the happiest grandparents are those who choose to look after their grandchildren rather than have to. Club members were then invited to share their experiences of grandparenting or of their own grandparents. Has The Women’s Movement Died? Dr Livesey gave a lively and challenging talk about the current stage of Feminism and The Women’s Movement and then gave an introduction to current courses at Ruskin College. Dr Livesey and her team are also willing to run day or half-day courses, if requested. She reminded members that there had never been a single women’s group or set of ideas to which one could subscribe but that there had always been women working on behalf of other women. The first newspaper to declare that feminism was dead was in 1922 but there is still a great deal of coverage of feminist subjects in the media: writing, thinking, broadcasting, the internet, podcasts, video bloggs, networks etc. There is also a lot of ‘backlash’ material. Generally, media reports take one of two positions: that there is no such thing as The Women’s Movement or that it is to blame for everything, including environmental disasters. According to Dr Livesey, the original four aims of Feminism have not yet been achieved, even though it is 40 years since the first seminal women’s liberation conference at Ruskin. These conferences have been held every ten years since and Club members were invited to attend this year. See www.wlm40conference.org.uk for further information. 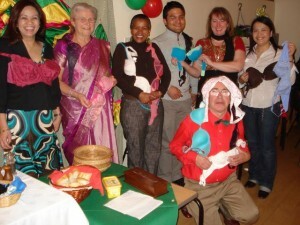 The theme for our Christmas was “international” to reflect the diversity of our members and our President’s charity, Cementing Futures – raising money to build an education and health centre for the children in the slums of Dhaka. Members brought along food (and guests from as far away as Venezuela) to express the international theme. Our guest speaker, Mr Aziz of Aziz Restaurant on Cowley Road, kindly donated a huge quantity of Bangladeshi food. He gave a powerful speech about the importance of the work Cementing Futures is doing. Euranis Neale gave a fascinating talk about a small charity, which is training midwives in two hospitals in Chad. Accompanied by graphic photographs of the conditions they have to work in. Her description and slides of the (lack of) hygiene facilities in the hospital made it seem miraculous that any one ever survived the experience of childbirth at all, yet she described those who went into hospital as the lucky ones. Lack of hygiene wasn’t the only problem encountered: midwives were lacking in essential basic knowledge, undisciplined and excitable. Training resources had been made available from charitable sources but neither the midwives nor doctors knew how to use them. Women travelled miles to get to the hospital and many camped rough with their children in the hospital grounds. Facilities for them inside were primitive and gave no room for privacy, comfort or even personal respect. Even though female, the midwives seemed not to have any empathy with the women they were treating. Euranis gave a most memorable slide presentation in such a way that we could have listened for much longer. Even when dealing with statistics she presented them in an easily assimilated way so that the impact of them on those listening could not fail to affect. The tasks facing Euranis and her colleagues seemed impossible, yet they cheerfully persevered and, working with the most hopeful of the trainees, began to make some headway with the hope that progress would continue after they returned to the UK.